Got Friday night plans? Of course you do! 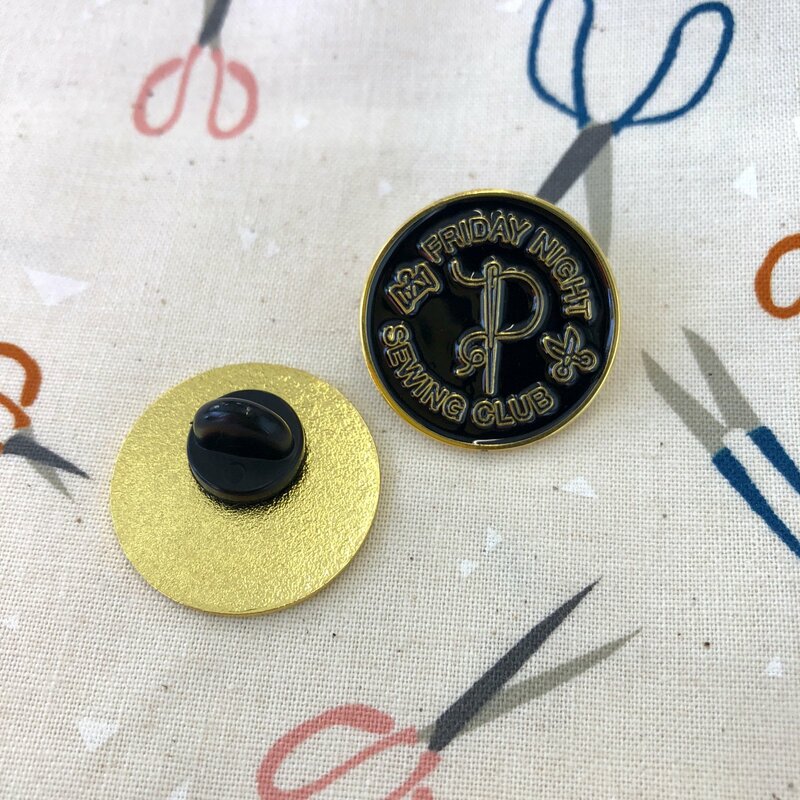 These enamel pins are yellow gold with a black background. The pin attaches with a black rubber clutch.